Portia's Mask. Children in Renaissance Venice prepare for Carnival. 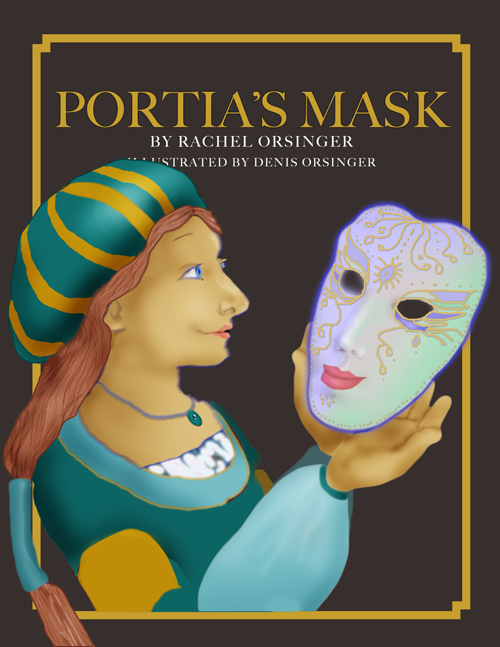 On a narrow street in Venice, Portia was looking for a mask for Carnival. She visited the best mask-makers to see all the masks before choosing one. But — oh! there were so many to choose from! Masks with feathers, masks with gold, masks with sparkling gems, masks in all colors!